The San Francisco Police Department has initiated an internal investigation into the role some of its officers played in assisting Apple security officials in a search for a lost prototype of Apple's unreleased fifth-generation iPhone. Lt. Troy Dangerfield revealed to CNet on Wednesday that an investigation is underway which may involve interviewing Sergio Calderón, the man whose house was searched by Apple employees. 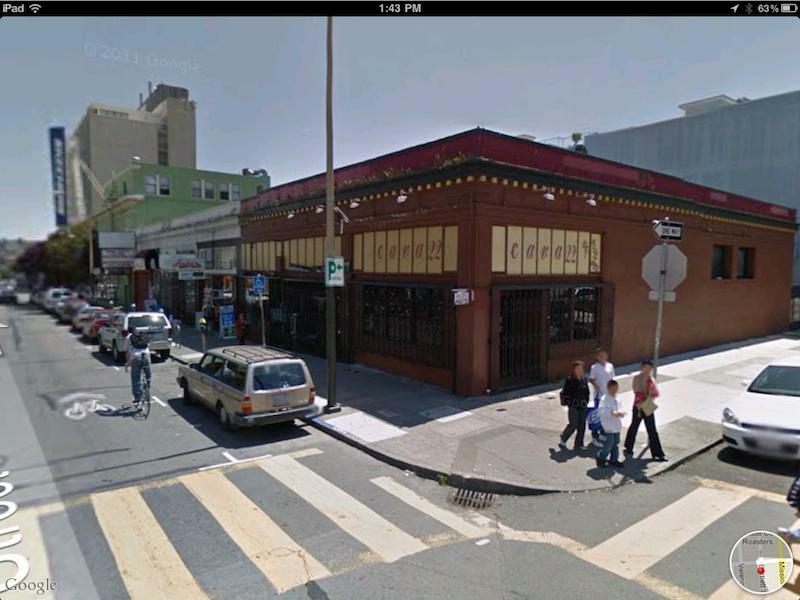 Details emerged last week that Apple was on the hunt for a missing iPhone prototype that had been left in the Cava22 bar (pictured below) in San Francisco's Mission district in late July. Apple reportedly tracked the device to a residence in the Bernal Heights neighborhood and enlisted the help of the police to pay a visit to the house. The SFPD originally claimed that it had no record of such an investigation, but then confirmed that "three or four" plainclothes officers had accompanied Apple security personnel to the house without going inside. For his part, Calderón alleges that he was led to believe that the people searching his house were police officers. According to him, he would not have consented to the search had he known that they were Apple employees. The 22-year-old also noted that the officers had vaguely threatened him by questioning the immigration status of members of his household. He said that he is "talking to an attorney," but did not indicate whether he intends to formally press charges. SFPD Chief Greg Suhr told the San Francisco Chronicle the police regularly assist independent private investigators. "The reason we do civil standby is to make sure there isn't a problem," he was reported as saying. "Whatever conversations the (Apple) employees had with the resident, I can't say." As of earlier this month, Apple is shopping for two new managers of "New Product Security" to help prevent incidences like lost prototypes from reoccurring. The company is known for its tight security and has a variety of measures in place to protect itself from leaks. However, in spite of its security protocols, Apple has now had two iPhone test device leaks in less than two years. Last year, an iPhone engineer lost an iPhone 4 prototype in a Redwood City, Calif., bar. The device was reportedly sold to Gawker Media for $5000. The two individuals who received payment for the prototype have been charged for "misappropriation of lost property.